It all began in this building, 33 years ago, as the Musser Family opened the doors to provide Wilmington with three things they know well, delicious food, high quality service, and a warm, friendly atmosphere. As the decades have come and gone, they have dumped sand in the middle of town, re-energizing the sport of beach volleyball to many generations and providing food, drinks, and fun to all those who place their toes in the sand. Cap’n Bills Backyard Grill is expanding its laid back, family friendly and fun atmosphere to the Front Porch. 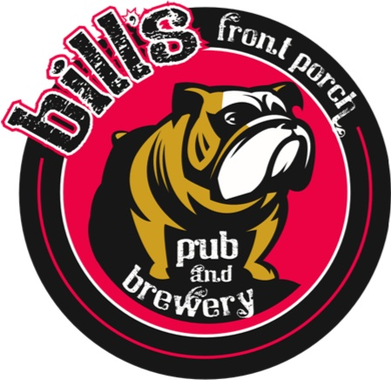 With a new generation eager to continue on the Musser Family business, Bill’s Front Porch Pub & Brewery will strive to continue the traditions of small market breweries by catering to the locals and putting out quality craft beer with a smile, and maybe even a hug. Our menu is homemade and simple, just like us! Great food, great beer, and some of the best people you’ll ever meet. Come join us on the Front Porch!